Cloud servers are playing a much bigger role today, even on platforms we don’t give much thought to, such as cellphones and PCs. This has also not escaped the CCTV market as more platforms and services are cloud-based. Longse Technology’s research and development team created a cloud app platform called Bitvision. 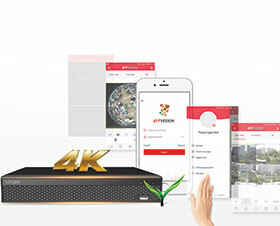 This is a user-friendly application from which the user can monitor XVR/NVR cameras over the cloud in ‘view mode’ as well as in the ‘playback mode’ straight from a tablet, cellphone or PC. It is supported on Android or iOS phones. Bitvision’s menu and app layout is practical and straightforward. The three main functions: Gallery, Event Message and Cloud Device can be found on the main screen. It will take less than two seconds to view alert information, video in cloud storage, recording files and screenshots. This makes it easy for one to check-in via your Bitvision app, should an emergency arise at home or office. All the cameras’ motion footage is stored in the cloud. This is a huge advantage, because if the device is lost through theft or power surge. Your events won’t be lost, it can be played back through the VMS or the Bitvision app. • Get real-time mobile push notifications and emails when security events occur. • Alarm switches and deployment times can be set. • Encoding standards of H.265+, H.265 or H.264 are accessible for the user. The resolution and frame-rate in the application will not only save space but will also lower the requirement for the network speed. • Storage management is easy to monitor, the capacity of the hard disk or the TF card can be viewed at any time. • IP/DDNS and playback (without being affected by camera binding) and artificial intelligence. • Face recognition and passenger flow analysis.